Specially formulated polish restores the original shine to your Crocs™ shoes. Rub the sponge applicator across the tops of your shoes. Remove dirt and restore the original luster to your favorite molded Crocs shoes with this specially formulated polish. Simply rub the sponge across the affected areas of your shoes and remove any excess cleaner with a dry paper towel or washcloth. 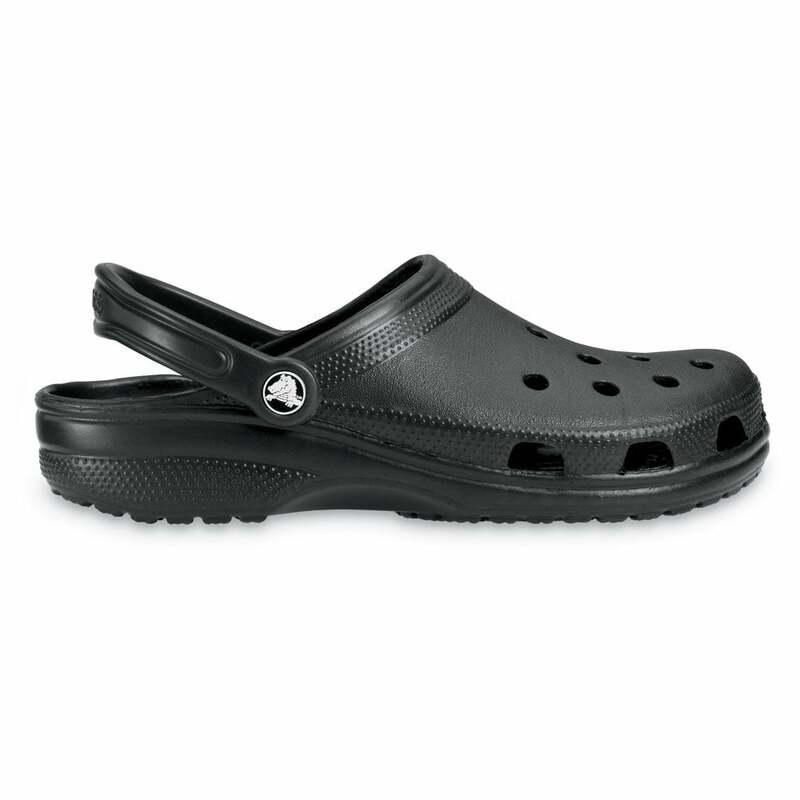 This Classic Crocs shoe is still a massive best seller, the Classic style was the first of the Crocs. The Cayman Croc is a new generation of footwear, incorporating the ultimate in comfort with stylish design to match. The slip resistant and non marking soles make these an ideal choice of footwear on board boats and around the swimming pool. Whats more, these funky clogs are so light that they float so the kids will find it hard to lose them in the pool or at the beach. Crafted from a unique patented closed cell resin material (PCCR), the Cayman Croc moulds to the shape of your feet, providing maximum comfort and performance. The orthotic foot bed is ergonomically designed and massages your feet as you walk, so you can wear them for as long as you like. Theres no fear of hygiene problems because the Cayman is anti-microbial, meaning that your shoes will remain odour free. Thanks to its toe-box ventilation system these sandals are as cool as they look, ideal for a day out to the seaside as well as those all important shopping trips into town. The Cayman Croc looks great for both men and women, and thanks to its moveable strap can be worn as a casual clog, or pushed back for more strenuous activities. Whether youre chilling by the poolside or exploring cliffs and beaches, the Cayman Croc can handle it. If you're a fan of Crocs Classics you're sure to be a fan of Crocs Flats too. Review Summary - 4.7 out of 5 based on 23 ratings. Excellent very comfortable wear them all the time. Easy to slip on and off. Good value for money. Bought as a gift, all good, easy to use web site punctual delivery. Would use again and recommend. I have had this item before and was happy with it - hope it will be the same this time! i was very pleased with the service they were the right item and arrived at the right time and fitted well keep it up. The crocs arrived next day - exactly as described. Perfect for camping and beach. Already done so! !\nCheck my reply!!!!! Ordered on a Monday, delivered on the Thursday, what is better than that?